This November, PWB is excited to be hosting our second-ever Journey experience alongside British photographer, Jord Hammond. Hammond is a travel photographer currently living in Bali. After three years of travelling through and photographing some of the most remote and undiscovered parts of Asia, Jordan has acquired experience in finding unique locations and angles for his photography. Hey! I’m Jordan Hammond, a freelance travel photographer from sunny Dover on the South-East coast of England. I’ve been living in and travelling through Asia for the past three years now, and photographing some of the most beautiful and undiscovered regions in the continent. 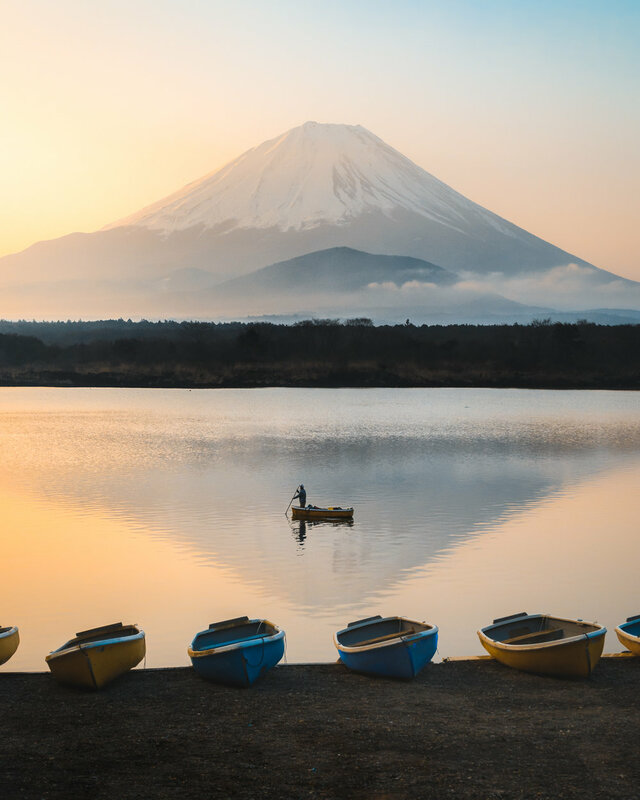 My travels have taken me from the depths of Tibetan China, through to the tropical backwaters of Southern India and pilgrimage routes in rural Japan, and just about everything in between. I’ve also been able to grow a substantial social media following and community during my travels, and feel incredibly lucky to have so many people supporting me. My love for photography started when I moved to China back in 2015. I lived there for a year while teaching English and was fortunate enough to be able to travel extensively in China during my days off. I picked up a camera as a means of documenting my trip for my family and friends to see back home, but soon found a passion for storytelling and eventually decided that I wanted to give photography a try full-time. I now travel the world with my partner, Sophia, taking on different client jobs as we go and documenting the stories of people and places in spectacular countries all over the globe. After leading my first photography workshop in Peru in June this year to great success, I wanted to make photography workshops a regular thing and was therefore delighted when PWB got in touch with me about potentially running one in Jordan. PWB is an amazing organisation bringing another dimension to the art of storytelling, so I can’t wait to partner up with them. Furthermore, Jordan has been a place I have always wanted to visit, and after seeing hundreds of incredible photos of Petra and Wadi Rum, I am so excited to finally be able to go there and put my spin on these iconic places, while teaching a group of aspiring photographers everything I know. The workshop will be intensive as we have a jam-packed itinerary, and will cover everything from photography, editing on both Adobe Photoshop and Lightroom and building both a personal brand and successful social media pages. I have learnt most of what I know today through trial and error, so to be able to gain all the knowledge I have acquired over the past three years in just one week is going to be hugely helpful to anyone with an interest and passion in photography. As well as group classes, I’ll be available to answer any questions you may have over the course of the week and will be able to give one-on-one advice and tips particularly while out shooting in the field. I can’t wait to head out to Jordan for this workshop, and hopefully, I’ll see you there too! Registration for the PWB Journey to Jordan is open until August 17th. Click here for more details and sign up today!